You may have noticed that I don’t talk much about cycling here. 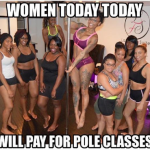 It’s because I struggle with cycling (cardio isn’t my strong suit, and my legs aren’t as strong as they may appear so pedaling can be a challenge), and I’ve only been to about three classes. So, when I agreed to participate in the First Annual Cycle For Curls charity event (by Curls for Girls), I questioned my sanity. 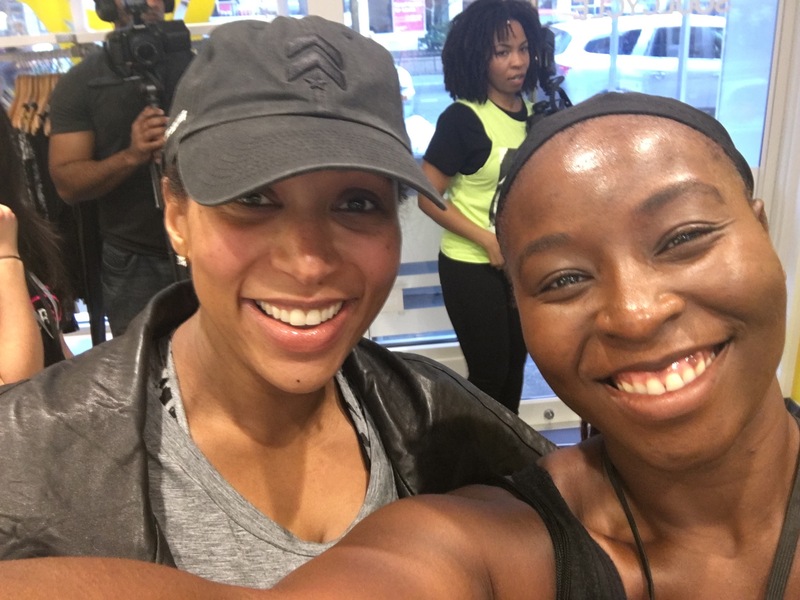 However, I soon discovered that Soul Cycle is an entirely different experience, especially when you’re surrounded by positive energy in the name of charity. Plus, progression doesn’t come from staying within your comfort zone, right? Exactly. 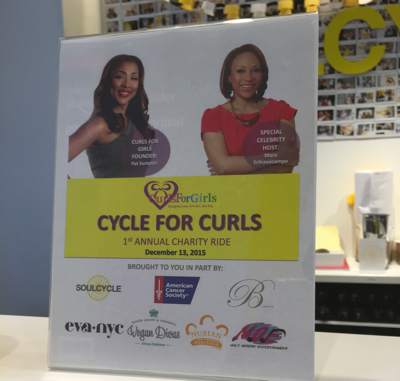 So, here’s the backstory: Curls for Girls is a 501c3 organization founded by celebrity hairstylist and beauty expert, Pat Sumpter. Its goal is to provide age-appropriate wigs and mentoring to girls experiencing hair loss due to treatment for medical-related illnesses or other conditions at no out-of-pocket costs to their families. With Pat Sumpter, the founder of Curls for Girls. 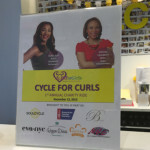 Sumpter partnered with the American Cancer Society, and tapped two time Emmy-winner Mara Schiavocampo, also known as, “the next Diane Sawyer,” to host the event at Soul Cycle on the Upper West Side. Yup, we piled into Soul Cycle and spun in the name of charity! You should also know that Mara Schiavocampo is an avid fan of Soul Cycle. It helped her lose over 90 lbs post pregnancy with her first child (you can read all about that in her book, THINspired: How I Lost 90 Pounds–My Plan for Lasting Weight Loss and Self-Acceptance). Speaking of, she is currently about eight plus months pregnant and out-cycled all of us (with the exception of our awesome instructor), and she was as sweet as pie. With Mara, the Soul Cycle Slayer! Our 45 minutes of cycling to everything from Beyonce to Mary J. Blige was lead by Liz Chestang, who made the experience enjoyable with good music and a great attitude. For the first time in history, I actually enjoyed a spin class because it seriously wasn’t just spin, it was Soul Cycle, which is an experience of it’s own (more detail on what Soul Cycle is actually like soon), and I was surrounded by positive vibes. 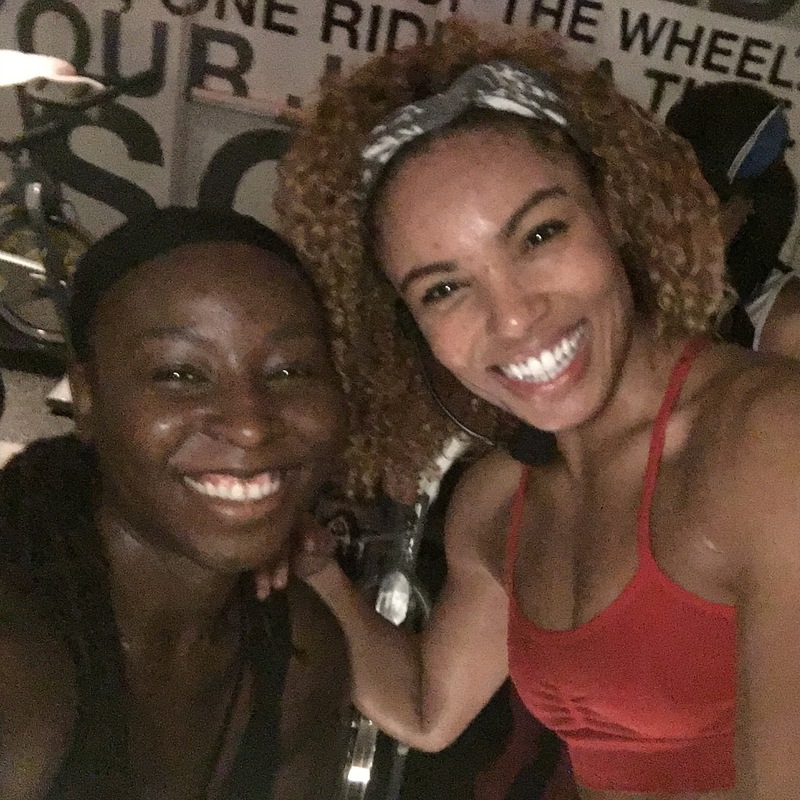 Post workout swelfie with Liz, our fearless Soul Cycle instructor. We sure did indulge post workout. Vegan Divas provided the treats. I caught up with Pat Sumpter to chat about her inspiration for launching Curls For Girls two years ago, her reason for pushing forward, and how she personally keeps in shape. Keep reading for the good stuff! Why is this cause so dear to your heart? I’ve worked in the industry for many years. I actually had the opportunity to work with some amazing people and I’ve worked with a lot of women that were experiencing hair loss and over the years I would help them find wigs and have them fitted for wigs and just kind of teach them that it’s okay. You put your wig on and it’s all about your attitude and you just keep it moving. I know from working with these women over the years how traumatic it is to a woman to lose her hair. People say, “Well it’s just hair,” but it’s not just hair. That’s our identity. Then people started contacting me about younger family members that were experiencing hair loss and when I started doing research and trying to help them find wigs, I realize that there was really no place to go to buy wigs for young girls. I knew that I always wanted to do something to give back and at that moment I just thought you know what? That’s it.That’s basically how Curls for Girls came about. What are some important lessons you’ve learned about yourself since launching Curls for Girls? I never realized how rewarding and fulfilling Curls for Girls would be for me. I just can’t even explain how I felt when I provided the wig and the beauty day. I’d never felt anything like that before. To see them happy and wearing their wigs and styling it and feeling beautiful, it’s the most beautiful feeling in the world for me. 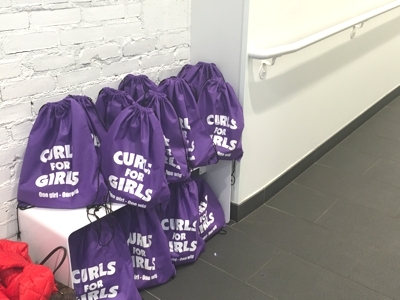 I always say that I’m really proud of the things that I’ve done, but there’s nothing like Curls for Girls. The other thing is that spending time with these girls and what they’re going through, I think at that moment when we do the beauty day, I feel like everybody in the room feels like they need to express gratitude more often–because nine, ten, thirteen-years-old, going through this treatment, losing their hair and they miss years of school and everything–it just really makes you look at life differently. I feel like it just keeps me grounded and it makes me want to do more. 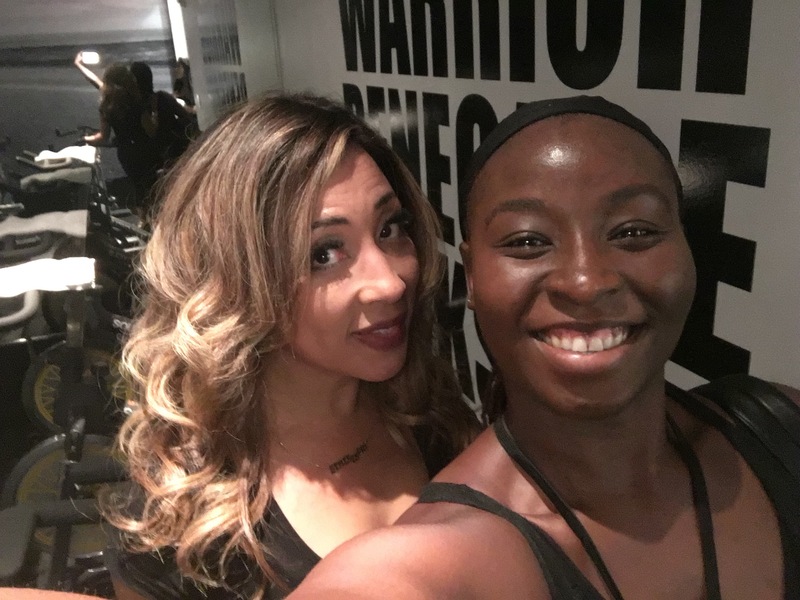 What’s next for Curls for Girls and yourself as a business woman in general? What’s next for Curls for Girls? We’re based here in New York. I actually went to my hometown, St. Louis, and we have a base there as well. I partnered with two hospitals. 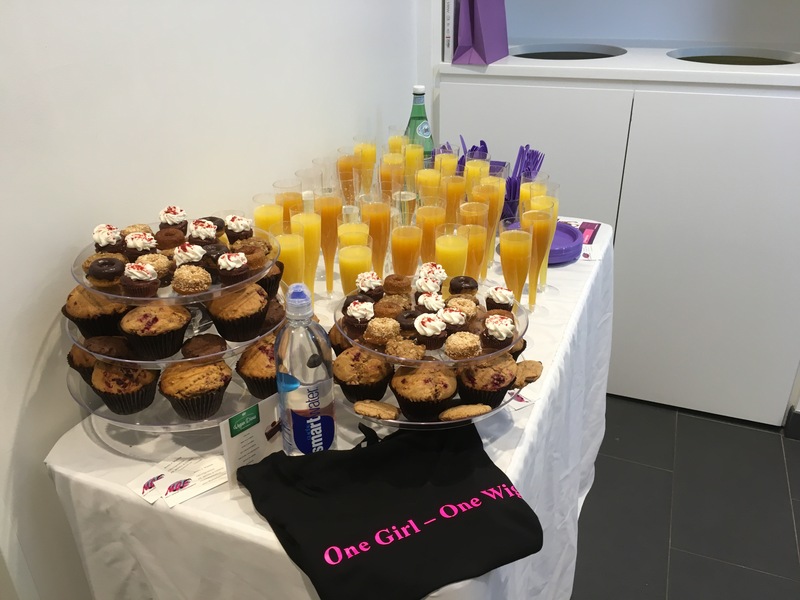 We’ve partnered with the American Cancer Society, St. Jude, Children’s Hospital in Philadelphia and we want to just try to reach more girls in the coming years and we also want to expand to other cities. I’m very, very happy and blessed and to be able to provide this service. Tell me about your personal fitness habits. Do you soul cycle on a regular basis? This was my first time doing Soul Cycle. I was in the military years and years ago, and I think that was my introduction to staying fit, and after the military I was like, “I’m never working out again in life,” and then I realized I missed it and how much it had become a part of me. I just make sure I get some type of exercise in and so I always tell people, anything can be exercise so don’t look at it like, “Oh my god, I can’t do this class or I can’t run.” You can just walk. You can do anything that’s exercise. Parking far away from the store and walking. Taking the stairs instead of the elevator. I look at everything as exercise. 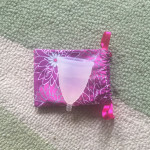 For more information for how you can get involved, visit CurlsForGirls.org.